Self | Thoughts On "S"
The last chapter of Ship of Theseus is entitled Ships of Theseus. The chapter title contains the book title with the addition of an S. The last letter of the last chapter is S. In the last scene, S., while standing next to Sola on his ship, looks through a spyglass and sees another ship with “what looks like two people standing on the quarterdeck and sharing the wheel.” The implication is that the two people are S. and Sola. Another prominent work that demonstrates self-reference is Don Quixote. In Chapter 1, when S. first meets Sola, he notes that she is reading a rather large book – “as thick as Don Quixote” (p16). The book turns out to actually be The Archer’s Tales by Arquimedes de Sobreiro. In Chapter 9 (The Obsidian Island), S. opens a book entitled “S.” and sees drawings of his ship. In every drawing of the ship, S. can make out the name SOBREIRO (p292). Self-reference appears to be everywhere in “S.” – from the first chapter of “S.” when S. walks through the city with an “S” in his pocket and walks into a tavern with the emblem “S” on its brick and meets Sola reading the self-referential Don Quixote, to the final chapter when S. sees himself through the spyglass. The Mckay’s Magazine Review of Ship of Theseus says it is a “a vulgar ouroboros of a novel.” An ouroboros is a dragon eating its own tail – a symbol for self-reference. That same review (in fact the same sentence as the reference to the ouroboros) says that Ship of Theseus is “filled to bursting with apathy, anomie, and omphaloskepsis.” Omphaloskepsis means “navel-gazing”, or contemplatings one’s self. 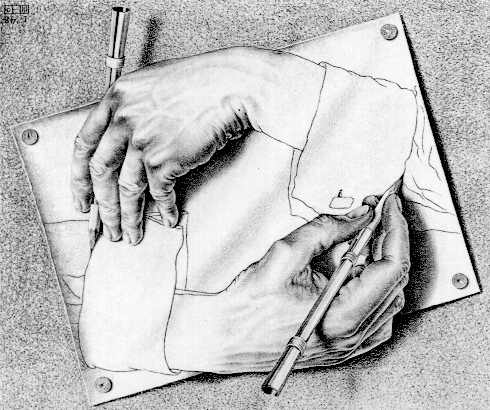 The titular Ship of Theseus Paradox can refer to the problem of understanding the true identity of the self. The entire book seems to be the story of S. trying to understand himself. S. sees himself more than once in “S.” Consider p370, where S. sees a younger version of himself in another boat with Sola. Does S. stand for SELF? Is “S” on a Fugue Walkabout? where one derives strength from the earth. And becomes inseparable from it. John Locke gets his walkabout, but not in the Australian Outback as he hoped. He gets his spiritual renewal on a mysterious island – and he becomes inseparable from it. This emphasis on the walkabout and the number four were foundational to LOST, and I believe that J.J. Abrams carried that same substance forward in Ship of Theseus. A man in a dark gray overcoat walks the Quarter’s streets. The word walks happens to be the 19th word of the book. As shown previously, there is a heavy emphasis on the number four in that opening sequence. S. walks about, in an apparent fugue state, turning corner after corner, until he reaches the tavern, where he sees the symbol S. for the first time and meets Sola for the first time. After S. spends an unknown length of time in the Winter City, Sola meets him and then leads him on a very long walk on water – across the ice from the shores of the city and back to his ship. On p393, we see that the distance S must walk is miles. At first he is terrified that he will fall through the ice, but by the journey’s end, he wishes he could take the same walk again. In the climactic scene, we find S. about to confront Vevoda, walking through the labyrinthian tunnels in the wine cellar. He passes a barrel on which no mark is visible, as its contents have leaked through a split stave and blackened the wood below. He can still see an outline of the spill across the earthen floor. He kneels down and touches a finger to it, and all at once, the mad chorus of voices in his head goes silent. Silent. Settled. Returned to the earth and settled. Voices and narratives, re-absorbed into the ground on which we walk. In the moment that S. places a single finger into the spilt wine that has re-absorbed into the ground on which we walk, his life his changed. His spirit is changed. He has discovered the key. His hate and murderous intent for Vevoda vanish in that instant. If you go back to the insert The Daily Pronghorn (p32-33) you will see that most if not every article in some way alludes to the ground (ground beef, Wenke’s groundbreaking work, the boathouse looks like an old water mill where grinding takes place, the worst damage in Standefer hall occurred on the ground floor, etc.). In an Australian walkabout, the aborigines would leave their homes and enter the Australian Outback to follow the songlines. Singing the songlines allows the singer to navigate otherwise complex routes across the land by calling to mind landmarks, water holes, glyphs, and other visible indicators. The song, repeated at the proper pace, is a musical map. We have already seen the importance of Australia in “S.” Now we are seeing the importance of a walkabout through its lands. On S.‘s ship, we have whistling crewmen. The whistles indicate changes to direction of the boat or the sighting of land. Inside the tunnels of the wine vineyard, S. and Sola navigate the tunnels by whistling back and forth to each other to help each other find their way. The interlude of Ship of Theseus is entitled Toccata and Fugue in Free Time. This chapter sends us on a journey through S.‘s complex journey of agent assassinations. We also appear to have an unsolved cipher based on Fn5. The story of “S.” is a mysterious synthesis of music, philosophy, mathematics, love, literature, and more. The songlines, I believe, are the key. We just have to find them. 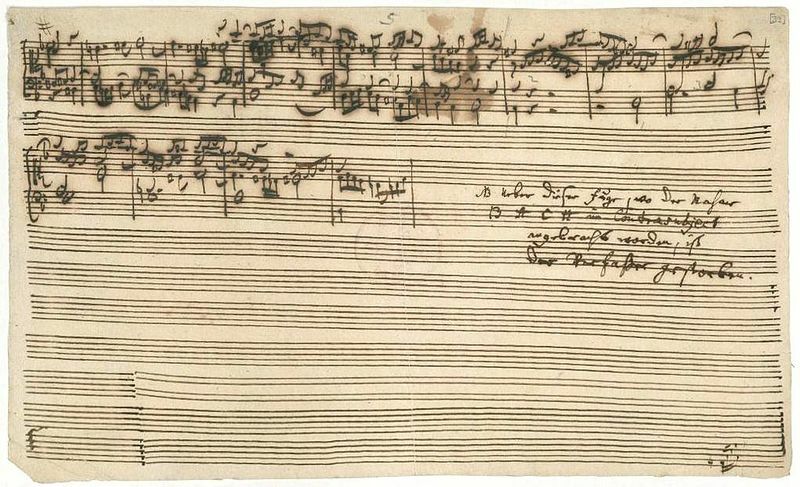 This astounding work by Bach has 19 parts, with one missing page that has since been lost, referred to as Fragment X. Is S., once called Agent X in Chapter 4, the missing fragment to this puzzle? Is Bach’s Art of the Fugue, which depends heavily on counterpoint like its literary counterpart The Glass Bead Game, the songline we are to follow? Or is there another? Read the sequel to this post. The idea that there was a probable but unknown continent in the south originated with Aristotle. He reasoned that the known continents of the globe north of this area made the world somewhat top-heavy, and that a land in the south should exist to balance everything out. Aristotle referred to this land as Terra Australis, or “land of the South.” Nearly 2,000 years later, during the Age of Discovery in Europe and across the world, explorers and cartographers still believed that Aristotle was right about this missing land mass. They referred to it as Terra Australis Incognita, or “unknown land of the South.” Matthew Flinders, the first to discover that Australia was a continent, named his new land Australia – believing he had found the most southern land there would ever be. It was only later during the discovery and exploration of Antarctica that the fabled land was finally proven to exist. The simple phrase Terra Incognita was a phrase that grew out of cartography to refer to any suspected but unmapped region of the globe. It was, simply, a mysterious land – a hidden land. 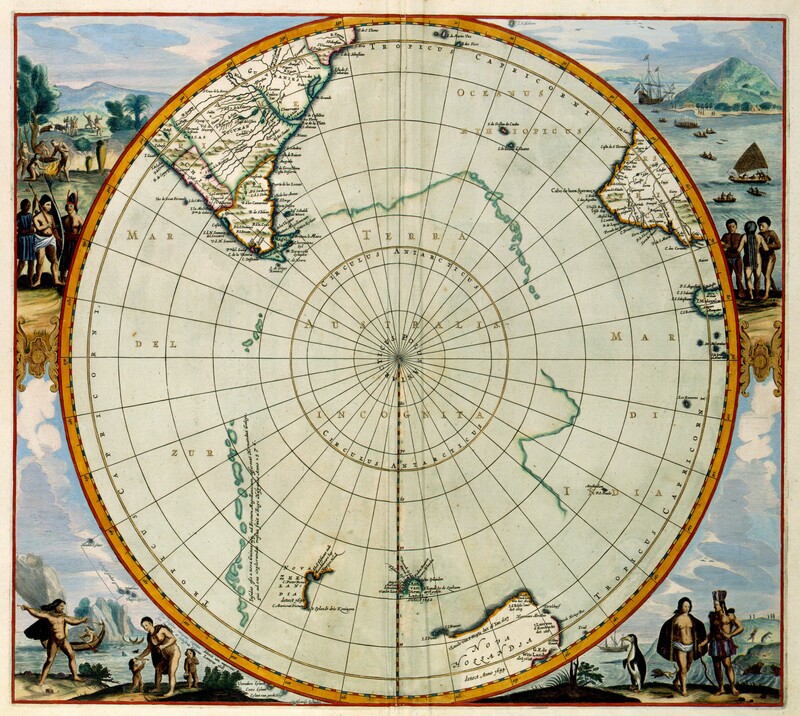 Today, terra incognita can refer to any area of research that is still in need of exploration and understanding. We might agree together that “S” is definitely terra incognita. With this floating in the back of our minds, let’s start with the following quote from page 213 in “S,” where Jen draws a rectangle around the word man-hauling and she and Eric converse in the margins. He has the beaten look of one of those failed polar explorers, man-hauling his way toward death or something worse. That’s a great term. In a terrible way, I mean. It sounds miserable. THE BRITISH EXPLORERS WERE INTO THAT – THE NOBILITY OF SUFFERING. Seems like you are, too. THE NOBILITY ISN’T IN THE SUFFERING. IT’S IN THE DISCOVERY. Those dead British guys probably told themselves pretty much the same thing. The sentence in Ship of Theseus and the discussion between Eric and Jen refers to man-hauling in general, and more specifically how it likely led to the death of Captain Robert Falcon Scott and four companions on the return trip of the Terra Nova Expedition to the South Pole. Here again, Straka may have drawn material from the spurious Tortugan Journals of the pirate Covarrubias. According to the journals (which, I must point out again, are obvious fakes), the French barque Belette struck a reef and sank near Martinique in 1647, but was spotted again in 1683, risen like Lazarus and sailing briskly through the waters off the coast of Peru. Let’s focus on the phrase risen like Lazarus. Mikhail Lazarev (Lazarev is Russian for Lazarus) “took part in the discovery of Antarctica” in 1820. And this. Lines 359-365 of T.S. Eliot’s poem The Wasteland were admittedly inspired by Ernest Shackleton, a British explorer of Antarctica. Jen Heyward mentions studying The Wasteland in the margins, and we have already seen numerous connections between “S” and T.S. Eliot, well-presented by geekyzen. And this. In the The Heroic Age of Antarctic Exploration, exactly 19 men died. And this. The magnetic North Pole and magnetic South Pole drift over time due to the Earth’s shifting outer core. The two poles are drifting twins. And this. Torsten Ekstrom (one of the Straka candidates), according to the EOTVOS wheel site, held a close friendship with Norwegian polar explorer Fridtjof Nansen. Nansen’s exploration techniques for the North Pole heavily influenced subsequent Antarctic expeditions, including the Norwegian-British-Swedish Antarctic Expedition (1949-1952) responsible for discovering and naming the Ekstrom Ice Shelf. …with the point of contact of the lever and earth being the South Pole. And this. It is in the Winter City that S. stands in the very room where Sobreiro lived and left life behind in his descent to death. And this. A view from the South Pole shows that everything connects. All longitudes converge here. The South Pole appears to be the center of all things, and all else can be found at a spoke on this wheel. It reminds us how to play The Glass Bead Game. A sense of spatial disorientation afflicts characters throughout Straka’s body of work — most notably in Coriolis, which features a character afflicted with a fictional ailment called “Eötvös Syndrome.” The illness causes his sense of disorientation to intensify as his travels take him closer to the equator. If the sense of disorientation caused by the Eötvös Syndrome intensifies as you get closer to the equator, where would the disorientation affect you the least? The South Pole (or the North Pole, depending on your preference for polar bears or penguins). You would be most yourself at the poles. And this: Clues in the Foreword that point to the first map of the world that definitively shows Antarctica as a single, final continent. The journey to Antarctica is a metaphor for the discovery of the Self – the Soul – otherwise known as Terra Australis Incognita – the unknown land of the south. The journey inward is as challenging as the journey southward. We must brave the waters of the unconscious mind until we reach the shore beyond to where our true selves await. We must descend into the orlop, the lowest deck of the ship, and remain there until we become part of the tradition. We must spend time in the Winter City until we discover more about who we really are. From this vantage point, we finally find the place to stand from which we can move the earth.